Private mortgage insurance exists to protect lenders when the borrower stops making mortgage payments. As in most states, lenders in California often require borrowers to make monthly PMI payments if their down payment is less than 20 percent of the home's appraised value. However, lenders who require PMI must comply with both California and federal mortgage laws. Most lenders determine whether you must pay mortgage insurance based on the ratio of your loan balance to the value of the home. 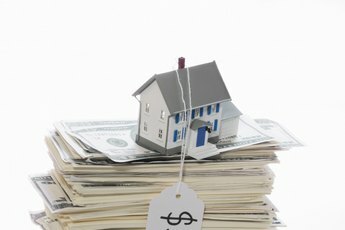 If this ratio is 80 percent or more, the lender will most likely require you to pay PMI. To calculate this value, divide your outstanding loan amount by the appraised value of your home. For example, if your loan amount is $300,000, and your home's appraised value is $400,000, your loan-to-value ratio is 75 percent. In 1998, California began requiring lenders to automatically cancel PMI on certain mortgages when the loan-to-value ratio had reached 75 percent as long as the borrower was current on payments. However, the law didn't require lenders to obtain new appraisals to see if homes have risen in value. Instead, lenders could simply use the original purchase price to calculate loan-to-value ratio. Furthermore, the law did not apply to loans sold to Fannie Mae, Freddie Mac or other third parties. In 1999, the federal government passed the Homeowners' Protection Act, which requires lenders in California and all other states to automatically cancel PMI when the loan-to-value ratio reaches 78 percent. The law also allows you to request the cancellation of your PMI in writing when your loan-to-value ratio reaches 80 percent. If your mortgage is in good standing, the lender must grant your request. This law applies to mortgages serviced by private lenders, as well as those sold to Fannie Mae and Freddie Mac. If you meet the requirements for automatic cancellation of PMI and your lender fails to cancel the policy, write a firm letter to the lender reminding him of his obligations under federal law. If he still refuses to cancel the policy, you can force him to do so by taking him to court. Neither California law nor the Homeowners' Protection Act applies to mortgages insured by the Federal Housing Administration. 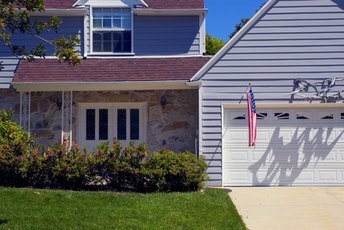 As of June 3, 2013, borrowers with FHA mortgages will pay PMI for 11 years or the duration of the loan, depending on the loan's term and loan-to-value ratio.